Robert Pattinson, Mia Wasikowska and Robert Forster are the stars of Damsel, the story of a businessman who travels West to join his fiancée in the mountains. Unpredictably, their once-simple journey grows treacherous. It’s simple really, I’m in for the kooky / off-kilter humour. I’ll probably also be hoping that there’s no trace of Britishness in Pattinson’s accent. But mostly I just want to be amused in unexpected ways. 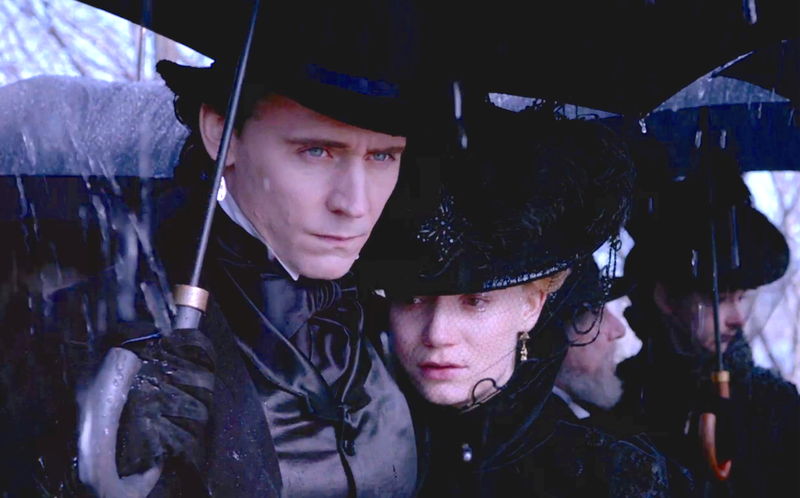 The first thing I noticed and immediately loved about Crimson Peak is the cinematography. Particularly the rich colours, beautiful period fashion and the use of light and shadow. Directed and co-written by Guillermo del Toro, Crimson Peak is a visual feast of a gothic romance. 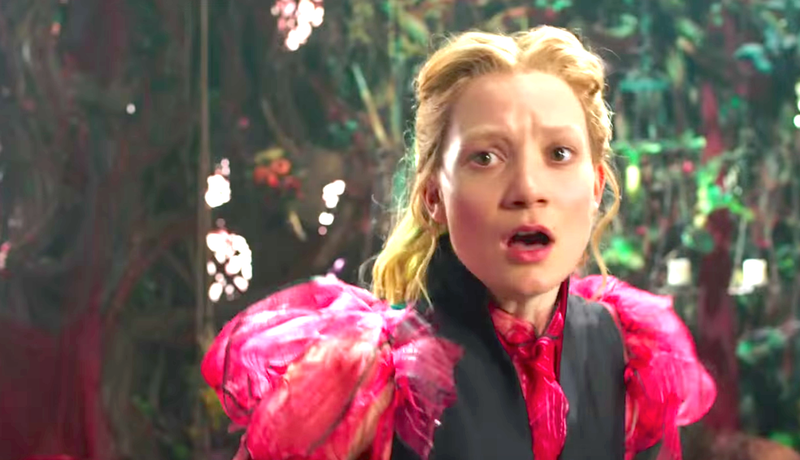 One that features a gifted author, Edith (Mia Wasikowska) who is a young lady faced with the choice between two potential suiters. One of Edith’s suiters is her childhood friend Alan, (Charlie Hunnam) and the other is a dark, mysterious and mesmerising newcomer called Thomas Sharpe (Tom Hiddleston). I’d like to think that faced with Edith’s predicament I might be wise enough to make the ‘healthiest’ choice. But considering how much I find myself mesmerised by Hiddleston’s character’s voice, words and presence, I’m thinking absolutely not. A feast for the eyeballs is one way to describe Guillermo del Toro’s movie. I also like the beautiful romance which just happens to be a great reminder for how truly blinding love can be. It crossed my mind that perhaps some of the ghostly special effects could have done with a little extra financial investment. But overall, I like Crimson Peak. Lastly, what a wonderfully meaty role Jessica Chastain was blessed to play. Watch it for the story, romance, and visual beauty. As you do that, I’ll I continue dreaming about having full access to the beautiful contents of Edith’s wardrobe. I remember loving Alice In Wonderland (2010); may this be just as good as it’s predecessor – at the very least. Especially since Tim Burton’s highly imaginative brain isn’t the one in the director’s chair this time. Johnny Depp, Mia Wasikowska, Anne Hathaway, Sacha Baron Cohen and Helena Bonham Carter make up some of the colourful cast. Bring on the colours, the rhymes and the brilliant costumes!